Beginning in December 2010, a series of uprisings swept the Arab world, toppling four longtime leaders and creating an apparent political opening in a region long impervious to the “third wave” of democratization. Despite the initial euphoria, the legacies of authoritarianism—polarized societies, politicized militaries, state-centric economies, and pervasive clientelism—have proven stubborn obstacles to the fashioning of new political and social contracts. Meanwhile, the strong electoral performance of political Islamists and the ensuing backlash in Egypt have rekindled arguments about the compatibility of democracy and political Islam. Even though progress toward democracy has been halting at best, the region’s political environment today bears little resemblance to what it was before the uprisings. In Democratization and Authoritarianism in the Arab World, leading scholars address the questions posed by this period of historic change in the Middle East and North Africa. 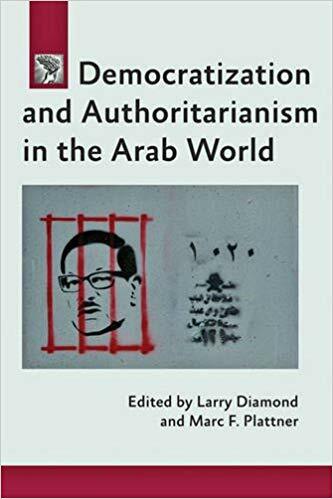 This volume includes chapters examining several broad themes: the region’s shifting political culture, the relationship between democracy and political Islam, the legacy of authoritarian ruling arrangements, the strengths and vulnerabilities of remaining autocracies, and the lessons learned from transitions to democracy in other parts of the world. It also features chapters analyzing the political development of individual countries: Algeria, Bahrain, Egypt, Jordan, Libya, Morocco, Saudi Arabia, Syria, Tunisia, Yemen, and the monarchies of the Gulf. Larry Diamond is senior fellow at the Hoover Institution and at Stanford’s Freeman Spogli Institute for International Studies, where he directs the Center on Democracy, Development, and the Rule of Law. Marc F. Plattner is vice president for research and studies at the National Endowment for Democracy. Plattner and Diamond are coeditors of the Journal of Democracy.